Stainless steel 90 degree elbow. 1/2 inch BSP. Stainless steel 90 degree elbow. 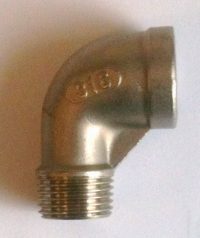 Screws into 1/2 inch BSP female on valve and by using in conjunction with the hose barb can create a downwards pointing spout. 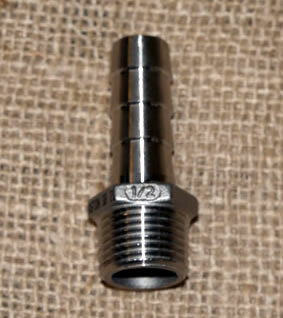 Stainless steel hose barb male, screws into the female valves.